Mont Coudon is set overlooking the eastern side of Toulon and the adjacent towns such as La Valette (of which it is part), La Farlède, La Crau, etc. 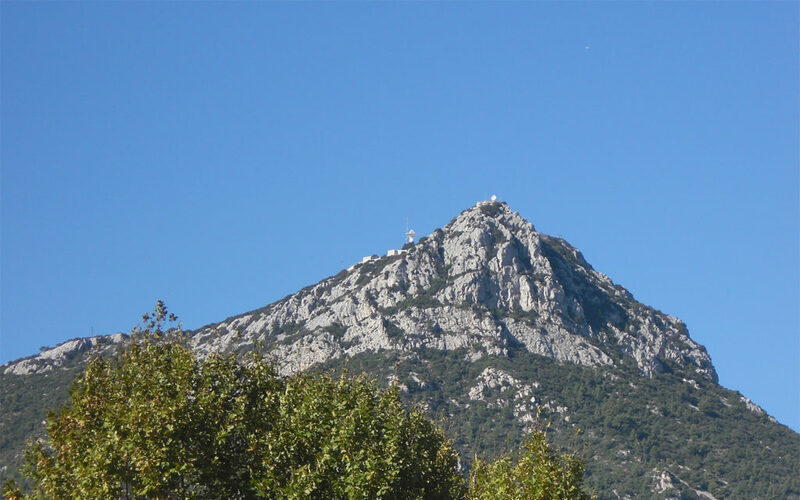 It is one of the “Mounts of Toulon” (Mont Caume, Gros Cerveau, Mont Faron, Baou de Quatre Oures, Mont Combe and Cap Sicié) and stands at an altitude of 702 m.
You will find two rock climbing sites at Le Coudon, at around 50 minutes (35 km) from the campsite. (Beaudouvin and various other major routes), is South-South East facing. The altitude at the foot of the routes is 550 m.
Over 60 routes, from 5c to 8b, distributed over 2 cliffs. Sporty access.